An economist has called for the creation of a global tax authority as a way of tackling worldwide wealth inequality. In a new book, Professor Photis Lysandrou of City, University of London argues a powerful international body is essential because the current financial system is geared towards more wealth concentration and further financial crises. Commodity: The Global Commodity System in the 21st Century says the new authority should be given powers to coordinate national tax regimes and to implement a tax on global wealth that would target high-net-worth individuals, especially those with net asset holdings of $30 million and above. Professor Lysandrou argues the body could recoup large amounts of money that are lost through tax avoidance, and governments could then invest this money in projects and services that have a positive impact on jobs and wages. 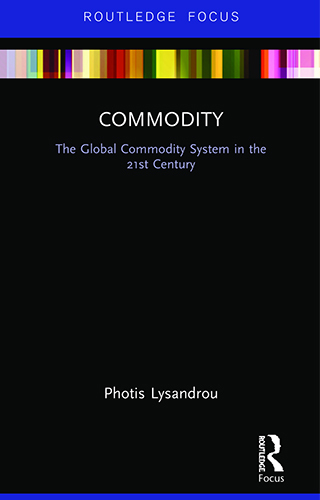 Commodity looks at the global financial crisis from an original perspective that views the international commodity system as a newly operational totality which includes government capacity as well as private capacities, financial securities and material goods and services. The book claims wealth inequality caused by this system will lead to repeated financial crises, unless a new set of international institutions is created to control it – a global tax authority would be the first of these bodies. Professor Lysandrou cites data which show that in the years after the financial crisis, between 2007 and 2015, the combined wealth accumulated per year by high-net-worth individuals rose from about $41 trillion to almost $59 trillion. He points out that 34 per cent of the $59 trillion accumulated in 2015 was held by just 145,000 people. Professor Lysandrou said: “As society is far from ready to move onto a different organisational principle, the only way to avoid financial crises on the scale of the last one is to allow the global commodity system to continue to operate as a complete totality while at the same time controlling for its negative effects. Professor Lysandrou, of the City Political Economy Research Centre, says his proposals go further than similar ideas suggested by the economist Thomas Piketty. The City academic says Piketty does not prioritise wealth concentration as the key cause of the 2008 financial crisis and so can only give a moral case for a global wealth tax. In his new book, Professor Lysandrou puts forward an economic case for the tax by showing that the global super rich played a key role in the crisis.